Having a pristine home is what everyone desires yet with today's busy lifestyles it isn't always possible to achieve. That's why our best value domestic cleaning service is so popular in Harringay, Haringey and Finsbury Park. We give you fully-trained teams who will get your home bright and fresh in no time at all. They are the best in so many ways, courteous, hard working and punctual – everything you need for a meticulous home and more free time for yourself. Hire us today. The web server with the IP-address 94.76.253.140 used by Cleanersn4.co.uk is run by Simply Transit Ltd and is located in Great Britain. This web server runs 1 other websites, their language is mostly english. 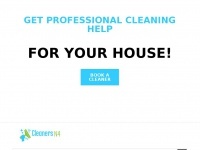 The Cleanersn4.co.uk websites were developed using the programming language PHP and served by a Nginx server. The website uses the latest markup standard HTML 5. The website does not specify details about the inclusion of its content in search engines. For this reason the content will be included by search engines.